Learn more about deionization & our unique purification system. We provide routine maintenance & customer education for your systems. We offer quality equipment, installation, and rental equipment. Dracor Water Systems has been serving Durham, NC and the surrounding areas since 1954, providing water purification solutions for laboratories, commercial enterprises, manufacturing plants and more. We have more than 100 years of cumulative experience in working with filtration, membrane separation, ion exchange and ultraviolet purification equipment! 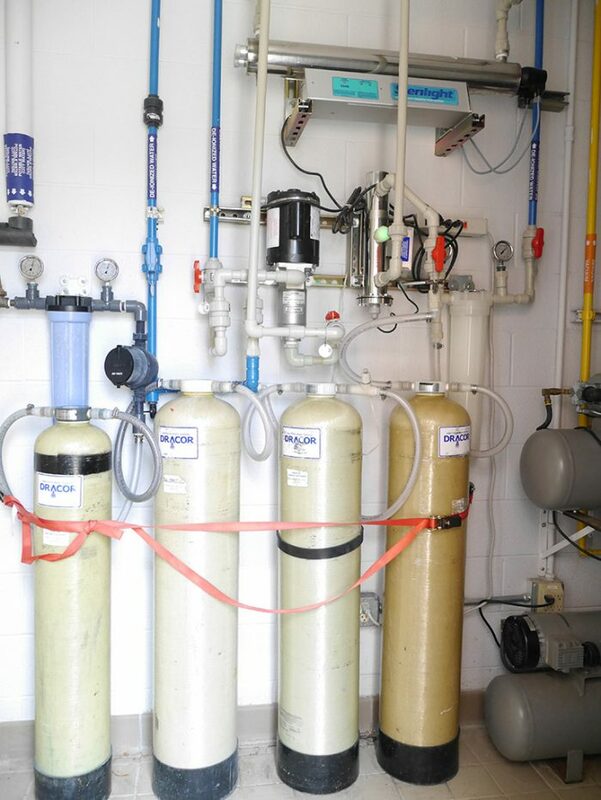 Your local expert on water purification systems in Durham, NC, Dracor Water Systems has been assisting commercial customers with their deionization needs since 1954. Our tenure within the water treatment industry has led us to become the authority on a vast range of purification systems—everything from media filter setups to reverse osmosis and UV light systems. We take the time to help you evaluate your water purification needs and understand the systems that meet them, so you can make an investment that’s flawless, functional and effective. Our customers are diverse in scope and unique in their needs, enabling us to work within the parameters of your water purity requirements to deliver unparalleled solutions. In addition to selling and installing commercial water filtration systems in Durham, NC, we take immense pride in providing extensive maintenance services as well. When the time for service to your system comes due, call us for reliable, thorough maintenance that keeps it functioning effectively. Our abilities include whole system inspections, filter changes and re-bedding, instrument and pump maintenance and much more. We even rent equipment for temporary or semi-permanent applications, and can maintain these systems to ensure you’re getting the best value from your rental option. We’ve been part of the water purification industry since 1954, and our staff has more than 100 years of cumulative experience! Our business serves the pure water needs of laboratories, commercial enterprises and manufacturing plants throughout the mid-Atlantic region. We serve all aspects of your water purification needs, including installation, service and maintenance for systems. Our complete expertise spans filtration, membrane separation, ion exchange and ultraviolet purification. We’re a Dun & Bradstreet Certified company. Contact Dracor Water Systems for pure water solutions for your facilities today and get the peace of mind that comes with more than 100 years of cumulative expertise!